Where once yachting was about a lifestyle disconnected from the world, now for many a life without connectivity is a lifestyle not worth living. Is the superyacht for private use or for charter? Where will the superyacht be based? How many people will be on the yacht at any one time? Will sailing take place near the coast? Or out on the ocean? What are the bandwidth needs? Will the superyacht be used all year round? Most specialist connectivity consultancies suggest that the ideal solution would combine both methods of connectivity. “Connectivity mainly works through satellite, 3G and 4G. Tomorrow maybe 5G,” said Umberto Gallo. “The best solution is a mix between 3G, 4G and v-sat. The most familiar and straightforward way to connect a superyacht is through a 3G/4G connection. This relies on exactly the same technology as a mobile phone uses to receive and send information via the internet. Using sim cards and (in most cases) a 3G/4G antenna the method allows for a reliable and effective way to connect. The most important factor when deciding whether to use this method is how you plan to use your superyacht. As we have all sometimes experienced 3G/4G is not always constant and a connection is not always possible or, at the very least, weak in certain locations. The same concept applies to being at sea; stray too far away from the cell tower and your connection will become less reliable or vanish completely. The standard advice for connectivity with 3G/4G on a yacht is that if you have a good antenna and do not plan to sail further than 7/8 miles from the coast then this is an excellent solution. There are even some companies that promote their technology as being able to provide 3G/4G up to 25 miles from the coast. 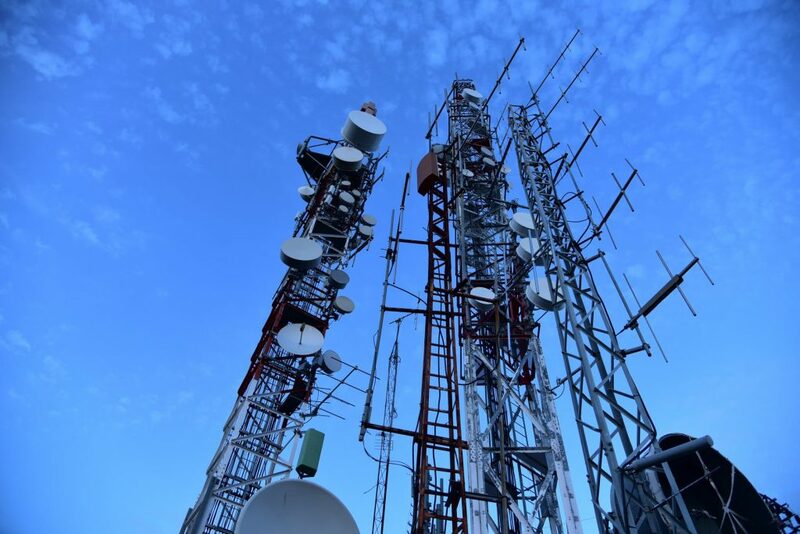 “3G/4G distance connectivity depends on the quality of the antenna and the modem which is installed on board and depending on the ground cellular operator,” said Gallo. The key pieces of hardware to connect the superyacht are the v-sat antenna and the router. Antennas for superyachts can cost thousands of dollars. The better the antenna, the stronger the connection when sailing and the further you will be able to travel without interference. The router allows multiple devices to connect to the internet. With guests and crew all vying for connection, the router is a key component for ensuring everyone experiences quick and reliable internet. The quality of the 3G/4G connection also depends on the modem. It is essential that modem can take multiple sims as this is what will enable the superyacht to have the necessary bandwidth to provide seamless connectivity for all users. The sim cards enable users to arrange their tariffs and data provider much in the same fold as sims for mobile phones. Through the sim card, users will be able to choose bundles, deactivate plans, switch providers and enable increases of data as and when needed. A number of companies provide 3G/4G solutions. Some of the key players in the industry are Castor, Meridian4G, Orbis Yacht (Milano Teleport Group), VBH. 3G/4G, the normal mobile phone system, may be good under some circumstances, but it has its limitations and is unable to function when you venture further than seven or eight miles away from the shore (although some companies do claim optimistically that their technology supports distances up to 25 miles). Unless your objective is to bob around in the Mediterranean a couple of miles from the coast, then you are going to struggle with superyacht connectivity. The bottom line is that if you want connectivity aboard your superyacht then satellite technology is unavoidable and it’s going to cost. V-sat stands for ‘very small aperture terminal’. Most v-sat dishes are about 1-metre across and operate by communicating with orbiting satellites to send and receive data. 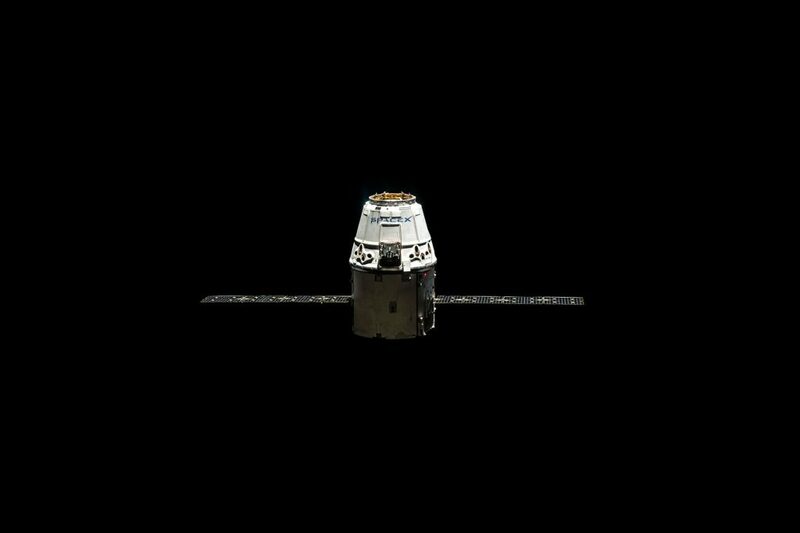 The v-sat is programmed to work in a particular frequency band that can only communicate with a satellite operating in the same band, though some v-sats are hybrid and able to work in multiple bands. How does it work? The end user makes a request for information (via laptop, mobile, tablet). This request passes through the network and modem to the external v-sat which converts it into a radio frequency enabling it to communicate with an orbiting satellite. The satellite then sends the request to a teleport stationed on earth which collates the information from the internet and beams this back to the satellite. The retrieved information is sent down to the v-sat on the superyacht and back to the end user. The process takes less than a second. V-sat relies on communicating with orbiting satellites, but there is a choice of frequency bands that can be used to transmit the data. With each frequency band there are advantages and disadvantages with effectiveness and cost being the prevalent factors. The bands available for superyachts are L, C, Ku and Ka. The highest frequency of bandwidth is available on Ka, with L being the most populated. A low-frequency band requires the least-expensive equipment due to it requiring simpler technology. The pointing accuracy does not have to be precise due to the low frequency, so the L-band is particularly effective when the yacht is at sea. With limited availability on L band monthly costs can be very high. Most superyachts would not rely on L-band as their sole means of communication. Requires large antennas (2-metres and above in diameter) which are mainly found on cruise ships or commercial boats. The C-band gives reliable connectivity in multiple areas around the globe. C-band is also resistant to rain and adverse weather conditions. Ku-band originates from the German term Kurz-unter referring to ‘under’ and therefore the lower part of the K-band. Ku-band is the most widely used frequency on superyachts. There is a relatively high level of bandwidth available. Most of the communications satellites work with Ku-band so there are many options and solutions with different providers for the owner. If a customer has a Ku antenna, providers can be swapped easily. The pointing accuracy is important so the system requires sophisticated equipment. Ku-band’s effectiveness can subside due to rain fade. Ka refers to ‘above’ and therefore the upper part of the K-band. The Ka-band relies on a very high frequency band and requires extremely sophisticated equipment due to the accuracy needed. Inmarsat dominates the Ka-band as it is investing heavily in the necessary satellites, although other companies do also provide Ka-band on a smaller scale. Once the equipment is in place it should prove to be a less-expensive option than the Ku-band. With Explorer yachts becoming increasingly popular and more being chartered to extreme locations connectivity is a trickier consideration. The satellite operators tend to focus their cover on the most populated areas such as the Mediterranean where economically this makes most sense. Dome aerials are called ‘stabilisers’ and have elaborate motors and electronics to cope with a yacht’s pitch, roll and yaw to ensure the dish stays pointing at the satellite. There are a range of companies that make the v-sat antenna. Key players in the industry include: Sailor, Intellian, Orbit and KNS. Most aerials are locked into one band and can only communicate with satellites in the same band. However, hybrid antennas are becoming a more common solution which enables owners to switch between bands. Currently if an owner were using a Ku-band aerial and wanted to move to Ka-Band there would be a need to purchase expensive, new equipment to facilitate this. An antenna can cost anything from $20,000-30,000. “Usually all superyacht owners will have a Ku antenna. Everyone is working with Ku as a lot of the satellites are working with Ku,” said Gallo. “So, a customer who is with one service provider can easily switch because they already have the necessary technology. Companies Phasor and Kymeta are exploring flat-panel and electronically-steered antenna as the next generation of technology. One of the drivers to developing flat panel antennas is the expectation that new constellations of non-geostationary satellites will be launched. For v-sat to be operational it must communicate with a satellite orbiting the earth. 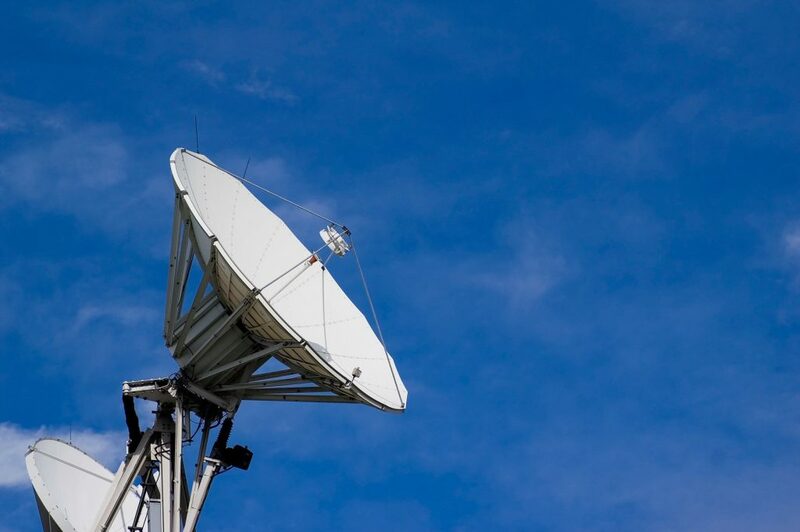 Because connectivity providers such as Priva and Omni Access do not own their own satellites they will have contracts with satellite companies to use their infrastructure and obtain the necessary bandwidth to provide their services. Key satellite providers include: Intelsat, Inmarsat, SES, Eutelsat, Telesat, Telenor and Iridium. Depending on where owners wish to sail will influence what satellites can be used. For instance, some satellite providers only provide coverage in Europe. Inmarsat and Telenor are unique in that they provide Ka-band connectivity. Inmarsat has invested heavily in Ka-band technology and has four Ka satellites orbiting under the I-5 system. Telenor launched its Thor 7 satellite in 2015 which services Ka-band and its conventional Ku-band customers. Telenor Ka system is only available in Europe and the Middle East. The main driving forces behind the superyacht v-sat industry are the specialist connectivity consultancies. There is an assortment of companies that will provide the options for connectivity from discussions regarding the customer’s needs to the installation and customer service once connectivity is operational. Businesses compete on the basis of price, coverage, equipment, bandwidth. Generally, the consultancies do not own their own satellites and, instead, buy the bandwidth. However, some providers do operate and own their own teleports located across the world. It is estimated that there are 5,500 superyachts worldwide. Many of the consultancies’ roots lie in the maritime industry or they have extensive cross-over in which superyachts represent only a small segment of their market. The largest provider is Marlink which recently purchased Livewire and Omni Access (although Omni Access still trades as an independent brand). Other key players in the market include: Priva (owned by Global Eagle), Milano Teleport (also trading as Orbis Yachts), Castor Marine, E3 and VBH. Consultancies would argue that their strength lies in the versatility that they offer. They are able to provide a variety of solutions using Ka, Ku, L and C band. They have contracts with many satellite operators so offer worldwide, seamless coverage. Crucially they are able to offer flexible pricing in which owners can select packages that only charge when the superyacht is in use rather than long contracts. Service for the customer is another key area that the main consultancies compete over. With monthly subscriptions costing thousands of dollars, the expectations from customers are extremely high. Many superyacht owners charter their yachts for substantial weekly figures and their own clients will be unforgiving if the connectivity is faulty. Aftercare and technical help are extremely important to the success of their service in a highly competitive field. Inmarsat is unique in that it provides an end-to-end service. It provides the technology and info structure on the superyacht for connectivity and operates its own satellites. A customer can use Inmarsat for a complete solution without any other company’s involvement. Inmarsat was founded as an IGO (Inter-governmental organisation) with the sole purpose of providing a global communications network to the maritime industry. Any ship over a certain tonnage has to have an Inmarsat connection as it gives a guaranteed connectivity activity for safety at sea. It is estimated that over 180,000 vessels use Inmarsat communications. The company launched the first global Ka-band mobile satellite system. Inmarsat (privatised in 1999) is new to the superyacht industry having only stepped into the market in 2018. Inmarsat’s main product is ‘Fleet Express’ a flexible plan which combines its Ka-band technology with its L-band service.